We have a winner of the fabulous fabric bundle from Raspberry Creek Fabrics and Trims! I will be e-mailing you! That's okay. 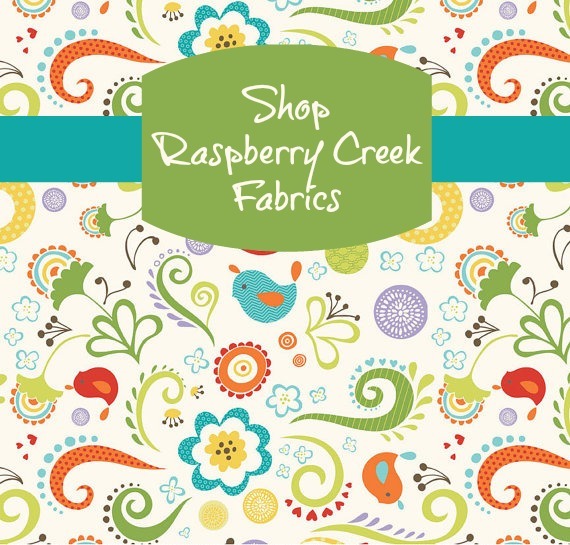 You can still win big by shopping at Raspberry Creek Fabrics. Diana's shop offers a wide assortment of designer fabric at great prices. Want to score a really good deal? There is even a terrific clearance section. I have to admit that I officially in love with this bright and beautiful bird fabric that is available in her shop right now.